We in the blogosphere must concede a small victory for the editors of Rolling Stone. They who spend their nights praying for publicity have finally found it, maybe recaptured a portion of the old magic, in the buzz surrounding their August cover featuring Boston bomber Dzhokhar Tsarnaev. Loath as we should be to spend any more pixels discussing their editorial decision, I hope that my thoughts on the magazine’s long decline, of which the current cover is only the latest example, will be worth its contribution to the magazine’s trending stats. Two weeks after the Tsarnaev brothers had been caught, a cable pundit pointed out that if a non-English speaker were to watch American media, they would think that the brothers were fallen heroes. The images of the Tsarnaev brothers had become instantly ubiquitous: Tamerlan in his boxing gym, Dzhokhar in various stages of American teenhood looking like the scruffy stoner he was. 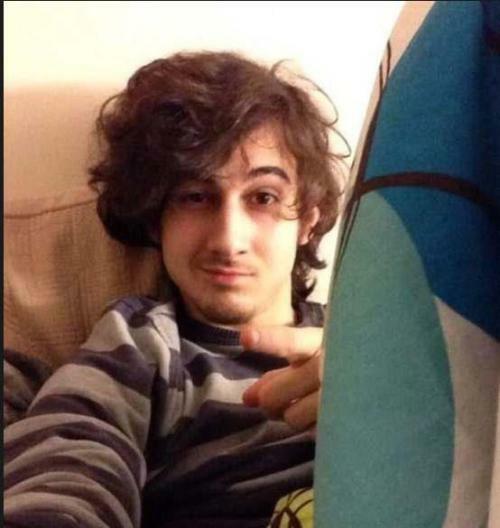 If such a thing is possible anymore amid our glut of visual inputs, the images of the brothers — especially Dzhokhar — became indelible. My first encounter with the Rolling Stone cover came yesterday morning as I passed a newsstand on my way to work. One moment’s glance at the shaggy hair, hooded eyes, and taupe background — an icon — set underneath that other icon of Rolling Stone’s red-lettered banner, identified this cover as a violation of taste. The contempt that flooded me the instant I paired these two visual icons together was directed not at Tsarnaev but at the magazine. It immediately conjured a scene of savvy magazine editors convincing themselves of the merit of running with that cover, using journalistic principles to justify cynically exploiting the intrigue of a teen-idol murderer. The publicity coup of its inevitable controversy would have been part of the calculus. This is but the latest indignity that the magazine has perpetrated on its own cover and legacy. 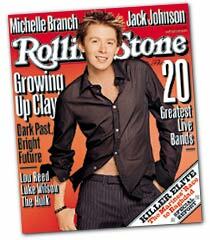 To lovers of rock music, the cover of Rolling Stone was once sacred territory. For years, the magazine was the journal of counterculture pop’s vanguard, a revolutionary publication that elevated the discussion of rock music from tabloid gossip to real journalism. What was once the publication’s strength, however, eventually turned into its fatal flaw, as it aged at approximately the same rate as its founder, Jann Wenner. A thriving, vital Rolling Stone is impossible to imagine given the state of print media and the even worse state of rock music, but it hastened its demise into irrelevancy by publishing years of outdated cultural coverage. I used to subscribe to Rolling Stone in the hope that it would report on current music and not the history it was steeped in. Almost a decade ago, they decided on the latter. How many “Greatest” lists can one person take? How many hagiographies of Jimi Hendrix do we need? How many American Idol covers should take the place of smaller, deserving artists that the audience might actually enjoy? In June 1970, Rolling Stone published a rock-star-looking cover image of Charles Manson. Another profile of an intriguing murderer (albeit one with a much stronger connection to popular music), it nonetheless appeared in a magazine with a vital claim on a certain section of the mediascape. Rolling Stone today has much less of that relevance. A foray into the teen-idol market with the image of a terrorist seems out of step for such an out-of-touch magazine. The strains to be noticed again are visible and unsavory. Most offensive is the fact that Rolling Stone published not a Tsarnaev cover, or a Boston cover, but a conspicuously Jahar cover. Images of the boy as a clean-shaven high schooler might have emphasized his startling transformation, had they been going for that, but that image isn’t what caused the hormone-explosion frenzy of the “Free Jahar” movement. They went with the most sensationalist cover they could. We can’t fault a magazine for trying to attract eyes, but when the offending publication is one that has been losing a long battle with datedness, it reeks of desperation. Good luck, Rolling Stone, it was nice to notice you again.